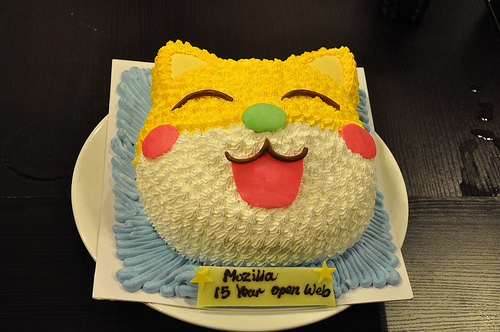 On Apr 25, we organize a local mini party in Hong Kong to celebrate Mozilla 15-year open web! 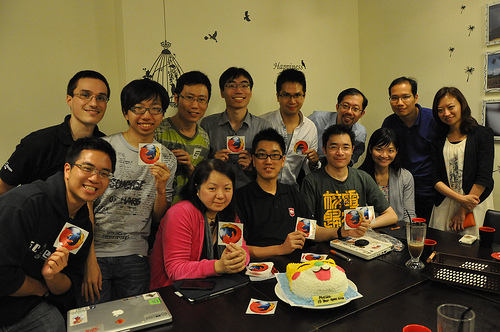 As a new and first Mozilla Rep in Hong Kong, my first mission is forming a local Mozilla community. The mini party is not the first meetup for the local community, but we gathered more new faces successfully. The cake is the head of our local moscot designed for Firefox Hong Kong User Community 2 years ago, when we organized Firefox 3 party in Hong Kong. I introduced Mozilla and talked about last year MozCamp Asia. We talked a lot about Firefox, web and web browser, from the beginning of world wide web in Hong Kong (using Netscape Navigator). And Daisy blogged this party in Chinese.